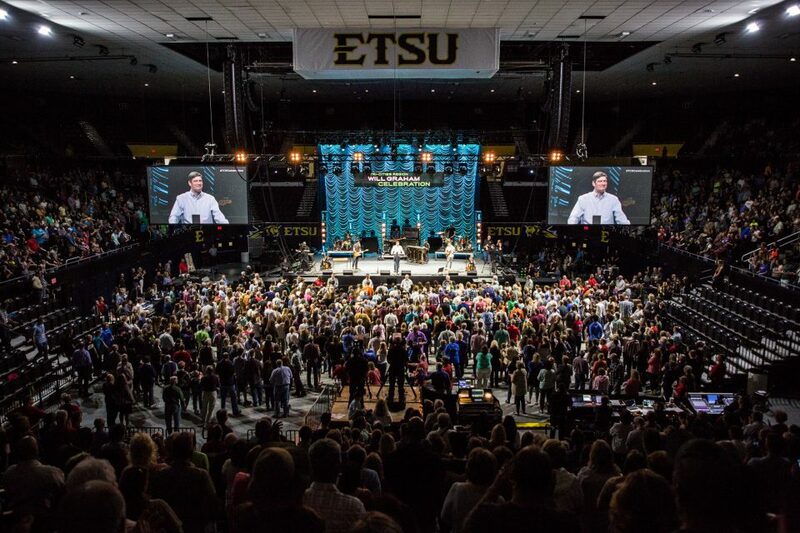 Thousands of people gathered in Johnson City, Tennessee, on April 27-29 for the Tri-Cities Celebration with Will Graham. One of the people in the crowd was a grandmother who was deeply moved by the Gospel message Will preached. “I want to talk to you about time,” Will Graham told a crowd in Johnson City, Tennessee, on Friday night, April 27. Preaching for the first time since Billy Graham’s homegoing, Will spoke on a topic his grandfather had often focused on in the past. Somewhere in the crowd of thousands, a 49-year-old woman was captivated by what she heard. Brenda* had been raised in the church and was even serving as an usher at the Tri-Cities Celebration with Will Graham that night. But Friday night was only the beginning of an unforgettable weekend for Brenda. On Saturday morning, she took her young grandsons to another Celebration event, KidzFest. Will, a father of three, shared the Gospel with the children, and one of Brenda’s grandsons accepted Christ as his Savior. 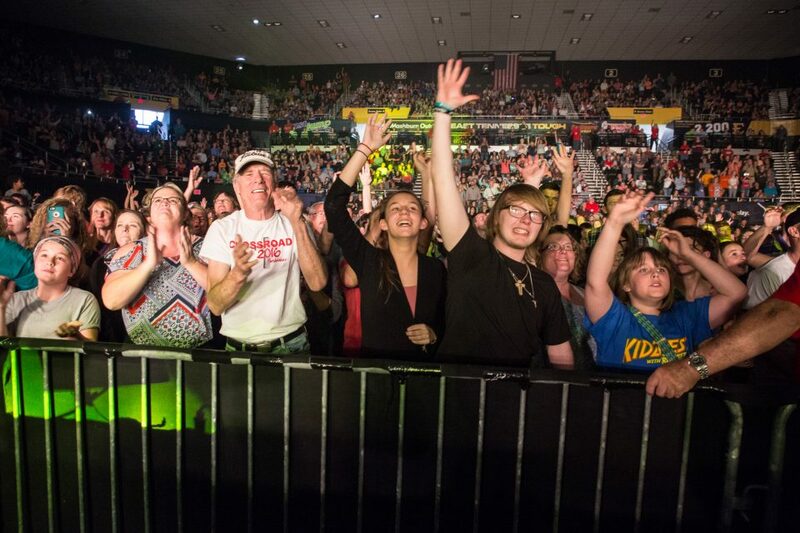 On Saturday night, Brenda found herself back at the Freedom Hall Civic Center as Will preached about the Prodigal Son. >>Watch a recap of Saturday night’s event, featuring music from Crowder and a Gospel message from Will Graham. This time, Brenda didn’t stay up in the stands. Even though Brenda went forward at the Celebration, it was through the Billy Graham Evangelistic Association’s online ministry, Search for Jesus (SFJ), that she shared her story. Three nights after she went down to the stadium floor, she decided to visit SFJ’s site, PeaceWithGod.net, to tell someone about the decision she had made. It was there that she clicked a button to chat live with a trained volunteer chat coach. “I just want to share my life-changing story,” she told the online coach. During their conversation, Brenda shared that she is a recovering drug addict. Until last year, she had used drugs every day since she was a teenager. The addiction started after she was sexually abused by an uncle she once adored and trusted. At the time of the Celebration, Brenda had been clean for a little over a year and was working on a 12-step plan through Narcotics Anonymous. She shared that she considered herself to be a fully surrendered follower of Christ, but Will’s message made her realize she was holding back. On Saturday night, “I totally surrendered my entire life to Christ with all my heart,” Brenda shared. Do you want peace that surpasses all understanding? Start here. 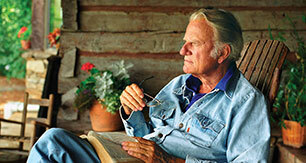 The Tri-Cities Celebration with Will Graham helped many people find freedom in Christ.